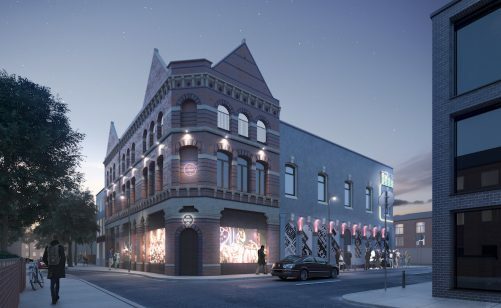 Plans for the expansion of Band on the Wall have been approved by Manchester City Council, including bringing the derelict Cocozza building, at the rear of the existing venue, back to life. Designed by Manchester-based OMI Architects and managed by specialist project managers Buro Four, the plans see the main venue capacity increase from 350 to 500 for headline artists and performances. The Picturehouse Bar will be re-modelled with the external terrace space increased and a new commercial kitchen installed. The planned learning complex will include a rooftop A/V suite, allowing young people and education participants to create new digital work by engaging with international touring artists. The new learning spaces will be home to Band on the Wall’s improved archive facilities, enabling us to better catalogue our rich library of historical content. Selected archive materials will continue to be exhibited in the Picturehouse Bar. The Cocozza building is one of only a few remaining structures from the days of the Victorian Smithfield Market. Band on the Wall is in the final stages of negotiating the purchase of the building and, subject to funding, the building façade will be saved and fully restored. Gavin Sharp, CEO, Band on the Wall said: “There has been a music venue operating at Band on the Wall for over a century, and we want to make sure it will be here for at least another 100 years. 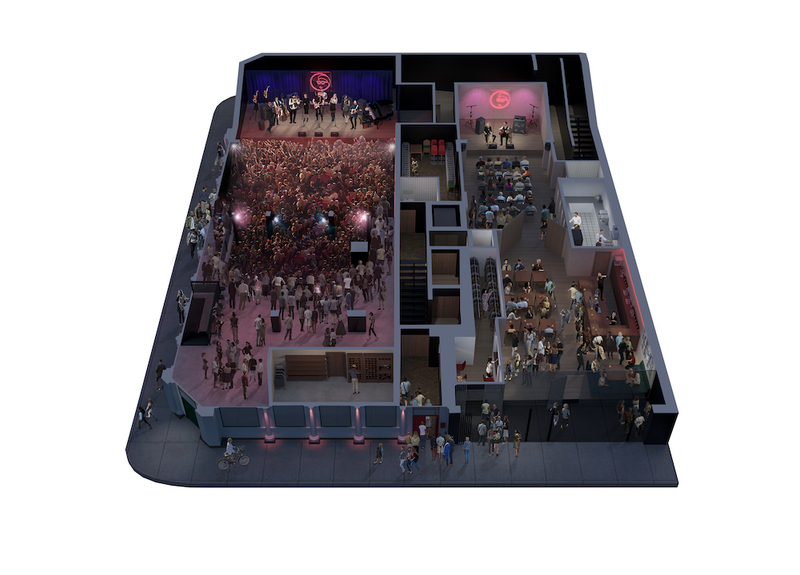 Bringing the Cocozza building into our footprint means we can significantly increase the main venue capacity, expand and upgrade our learning facilities and create a second smaller, intimate venue on-site which will have a capacity of 80. The inclusion of the Cocozza Building creates a new opportunities along Foundry Street and it is planned to install digital artworks in place of venue windows. These changing displays will provide a canvas for artists to tell the story of not just Band on the Wall, but the surrounding area. The envisaged cost of the expansion is approximately £3.5 million and securing planning permission is just one of several important steps to make before the project will come to fruition, which includes securing second-stage funding from Arts Council England. We are actively looking for supporters to help make the expansion happen – contact us now to find out how to get involved.